Joost and Syb in "Symphonic Queen"
Even more Kayak/Queen links: last saturday I saw Joost Vergoossen as an extra member of the Northern Netherlands Orchestra, in their concert "Symphonic Queen". In the theatre in Gouda (sold out), the orchestra performed classical arrangements of famous and less famous Queen tunes. Joost had to stick much to the original Brian May solos, but in "We Will Rock You" and the beautiful "Mother Love", he got the chance for his own interpretation. Well done Joost, and I enjoyed our chat afterwards! 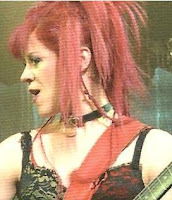 Syb van der Ploeg (of Nostradamus-fame) was one of the lead singers, even dressing up in drag for "I Want To Break Free". Also, he did very well in "The ShowMust Go On". Nothing to do with Kayak, but he deserves mentioning: American/South African singer Joseph Clark. one of the other lead vocalists. Great voice, nice guy and obviously a Queen fan. Fantastic rendition of the obscure Queen-oldie "Nevermore". Very well done, Joseph!!! 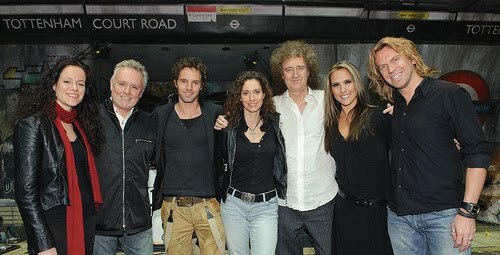 Picture above: The Dutch cast of 'We Will Rock You' meet the remaining members of Queen in London. 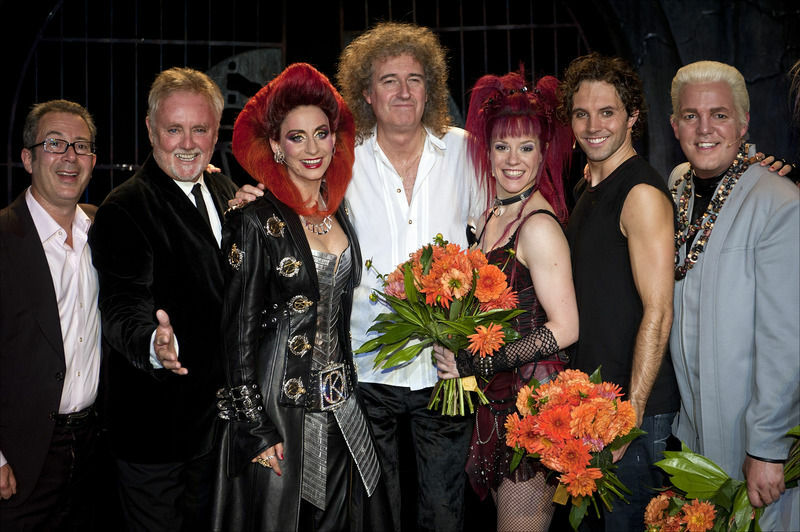 Marjolein is on the left, Queen drummer Roger Taylor is next to her. Guitarist Brian May is 3rd from the right.